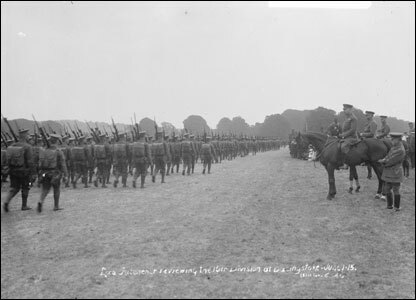 The Animals' War is currently on show at the at Imperial War Museum North. 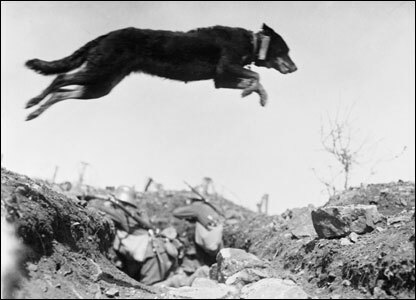 Here a German messenger dog leaps a trench on the Western Front in 1916. 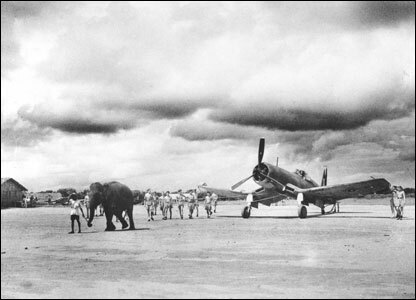 Elephants were used by the Fleet Air Arm in India during World War II. They were ideally suited to manoeuvring large objects in the Far East where there were few good roads. 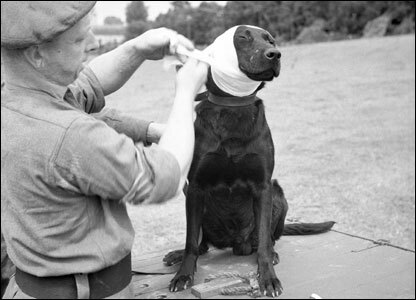 A sergeant of the Royal Army Veterinary Corps bandages the wounded ear of Jasper, a mine dog, 1944. 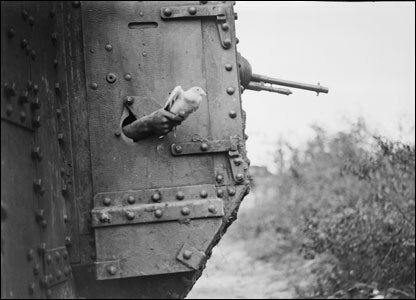 During World War I pigeons were frequently used to carry messages from tanks. 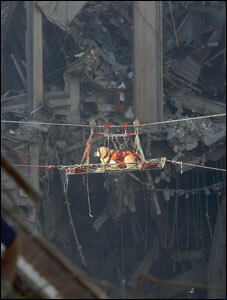 A rescue dog being brought out of the debris of the World Trade Center. 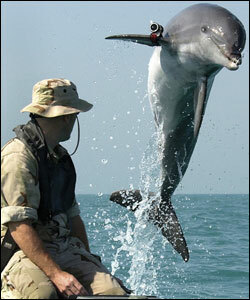 K-Dog the dolphin was trained by the United States Navy to find underwater mines that might endanger landing craft.